It was by chance that I came across information for the Museum of Food and Drink in Brooklyn. I visited New York at the end of January this year due to an awesome flight deal, and because I had been there several times, I decided I ought to look up events going on the week I'd be there. 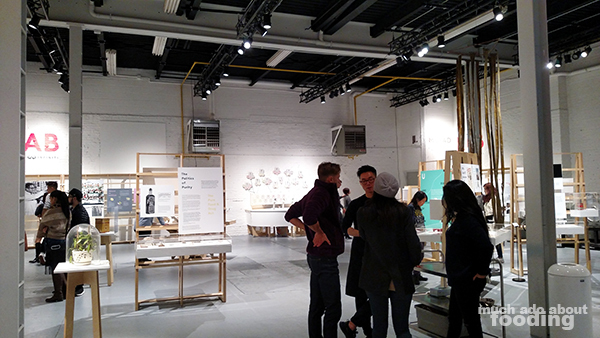 An exhibition popped up in part of my search and upon seeing that it was about the science of flavor imitation in foods, my geeky self cried out with a resounding "YES!" The museum itself is still fairly new and definitely one of a kind so I was glad to be in the vicinity (my brother lives in Brooklyn) at the time. 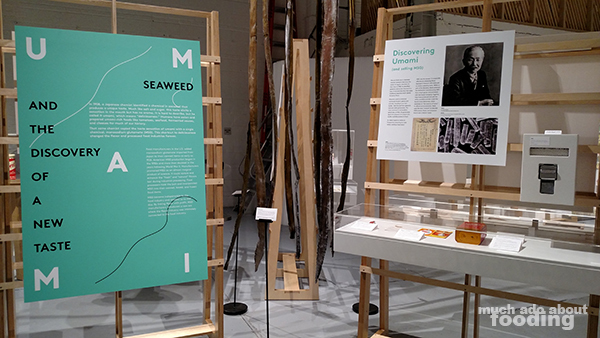 If you are in the area and interested in the history and science of food, I highly recommend taking a quick jaunt through whatever exhibition they have going on at the time (it rotates in topics). 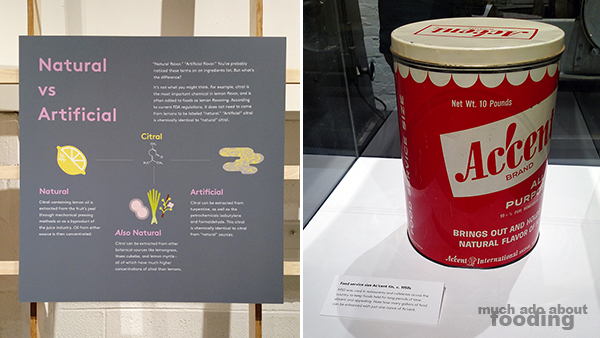 The exhibit during my visit was "Flavor: Making It and Faking It" which focused on how imitation and artificial flavors had come to be as well as the idea of "natural flavors" added to foods. The museum itself is not very large but quite informative. Considering that it is a pioneer of its subject matter, MOFAD has a good start and I really hope that it continues to attract visitors to help it grow. When we first entered, we were immediately greeted and led to an introductory video about how flavors are detected by our brains via scent and taste. The artfully-presented clip was thoughtfully put together, and once we finished, one of their food scientist volunteers came to help guide us through the exhibit. 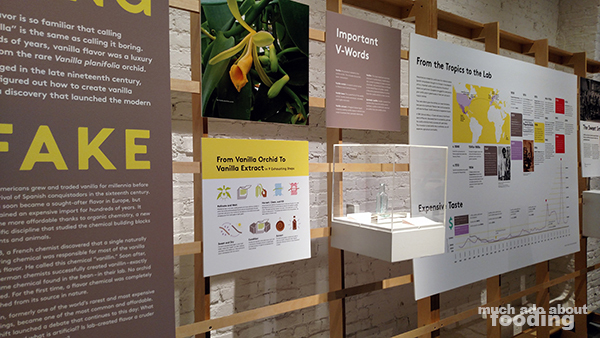 We learned so much about how vanillin was discovered and made, the importance of citrus oils, the controversy and history of umami via MSG, and so much more. The panels and displays also delved into the molecular structures of flavors and what regulations govern their distributions. For example, did you know that the only requirement for something to be labeled a "natural flavor" is that its base has to exist in nature? Bet you didn't know that the vanilla flavor can be labeled "natural" even if it is extracted from paper pulp! It was not only the vast amount of information that attracted us to each area of interest but also the interactive activities to prove their findings. 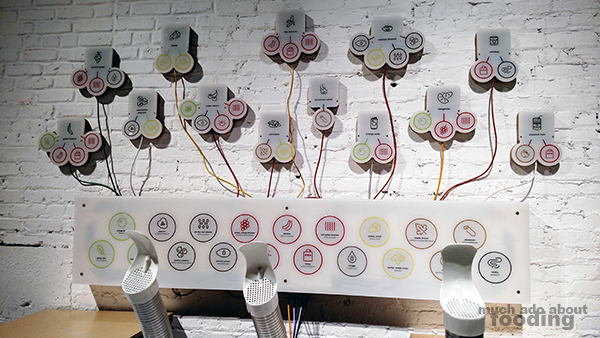 Because flavors are so entrenched in our abilities to smell, there was an area called the Smell Synth that filtered different scents from smelling tubes based on what you pressed. 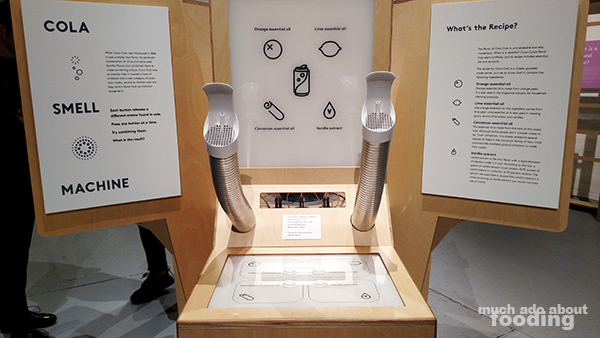 This interactive station had several scents available and suggestions on how to replicate a familiar food item you'd recognize. For example, we definitely thought of cinnamon pancakes when we hit the butter/sweet cream, maple, and cinnamon buttons all at the same time. 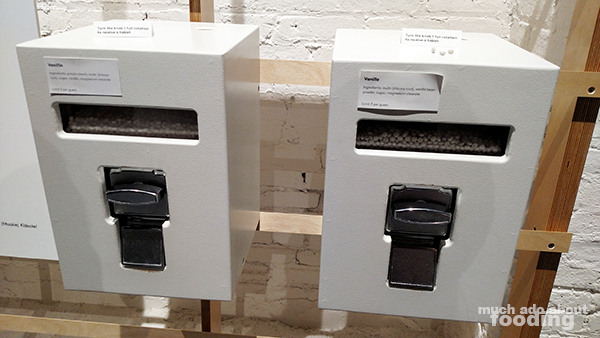 Not only that but there were also tasting tablets you could get from small machines that combined to bring those flavors forward. The combination of scent and taste on the tongue could make things like salty popcorn come to mind (salt tablet + MSG tablet + popcorn smell + butter/sweet cream smell). Feeling confident in your ability to detect smells and flavors? There were also stations to challenge yourself into identifying between artificial and "real" scents as well as segmenting various scents in a mixture to figure out what made up what. I also loved how our food scientist guide told us about the power of memory on our scent recognition. For example, he had grown up with kettle corn as his regular "popcorn" while we might have grown up with buttery popcorn as "popcorn"; because of this, whenever he walks into a movie theater, he smells "sweet" while we smell "salty!" The truth of the matter is that we can't actually smell a flavor, just taste it, so when we claim something smells a certain way, it's really just our brain trying to make a flavor association. Have some of these revelations intrigued you? There was so much more I didn't dive into because all of the information I learned that afternoon could have me blabbering on and on about fantastic food facts. You'll have to experience it yourself. 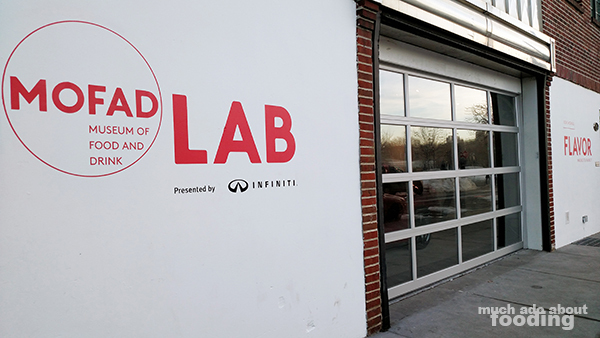 Find MOFAD at 62 Bayard St, Brooklyn, NY 11222 and have a great adventure!